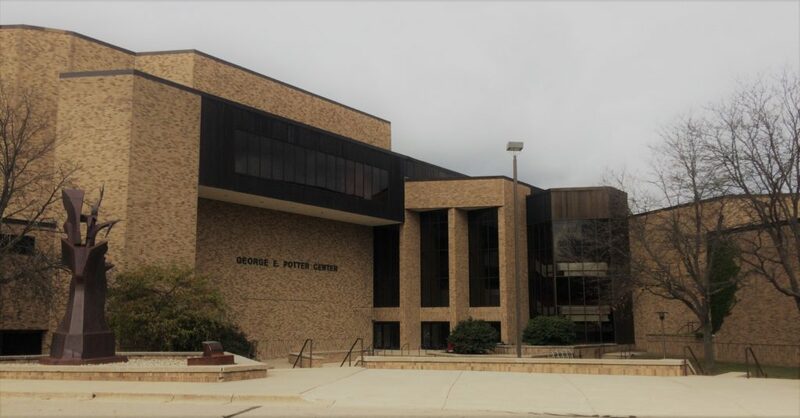 *Please be aware that entering the address of the Potter Center into a GPS will not bring you to the campus entrance adjacent to the Potter Center Parking Lot. See the map below to use the Browns Lake Rd. entrance. Take exit 142 south onto US127, then take exit 34. Turn left onto McDevitt, then left onto Hague Rd. at the light. Turn right onto Emmons Rd. then drive past the campus entrance to the stop sign to turn left onto Browns Lake Rd. After 500 yards, turn left into Jackson College, and make an immediate left into the Potter Center’s large parking lot. There is a convenient drop-off location just in front of the building. The Baughman Theatre and Center Stage Jackson box office are located on the second floor of the Potter Center. You can either take the grand staircase just inside the doors, or continue past the staircase to the elevator. From US127, take the I-94 East exit. Then take exit 142 south onto US127, then take exit 34. Turn left onto McDevitt, then left onto Hague Rd. at the light. Turn right onto Emmons Rd. then drive past the campus entrance to the stop sign to turn left onto Browns Lake Rd. After 500 yards, turn left into Jackson College, and make an immediate left into the Potter Center’s large parking lot. There is a convenient drop-off location just in front of the building. The Baughman Theatre and Center Stage Jackson box office are located on the second floor of the Potter Center. You can either take the grand staircase just inside the doors, or continue past the staircase to the elevator. From US127, turn left onto Wetherby Rd. Turn right onto Hague. Turn left onto Kimmel Rd. Turn right onto Brown’s Lake Rd. 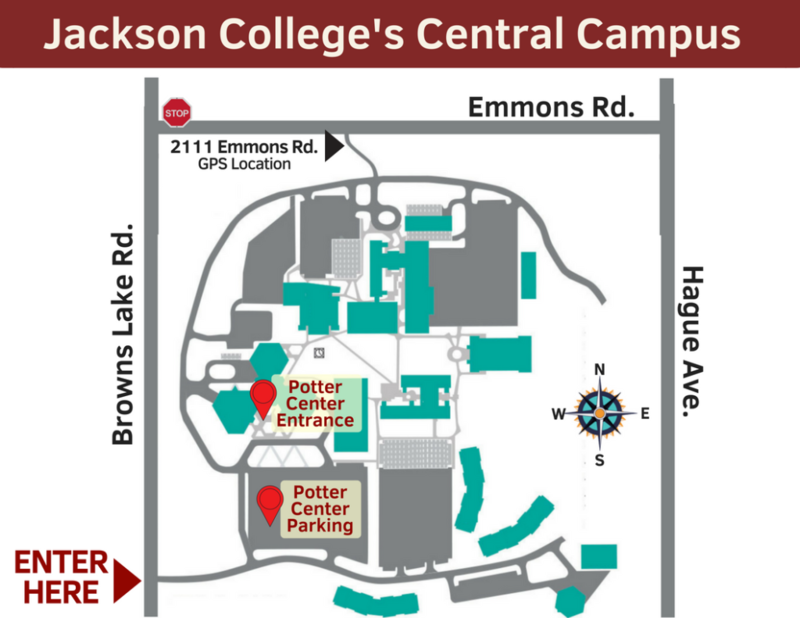 The entrance to Jackson College will be on your right, then take an immediate left into the parking lot of The Potter Center. There is a convenient drop-off location just in front of the building. The Baughman Theatre and Center Stage Jackson box office are located on the second floor of the Potter Center. You can either take the grand staircase just inside the doors, or continue past the staircase to the elevator. There are eight spaces available for those in wheelchairs or that cannot do steps. These are located at the top of the house, four on each side. Other than the handicap section, all seats in the theater have steps leading to them. There is no alternate entrance to the Baughman Theatre. If you cannot do more than one or two steps, please reserve space in in the Handicap/Wheelchair section. Chairs are available to those that need to sit in this section but do not have a wheelchair. Seating in this section is limited, so reserve these spots early!